We must distinguish 2 questions. Is DoliCloud compliant with Privacy laws (like GDPR) in the sense of compliance rules, by the company offering the service, with respect to your information as a customer, and independently, does the application you use via DoliCloud allow you, as a data collector, to be compliant with Privacy laws (like GDPR). ** The host of computer servers, which is OVH. These servers are hosted in Europe (France). No DoliCloud customer information is communicated to this subcontractor who only provides the hardware and network layer, the installation and operation being carried out by us directly. ** The online payment service Stripe, which is used, to ensure regular payment of the subscription. We do not provide your credit card details because they are sent When you fill your bank details, they are sent directly to Stripe when entering the number to make the payment (we still recover the last 4 digits, which allows us to be able to identify / analyze payment problems). * DoliCloud runs on Linux Ubuntu systems and software. They benefit from regular security updates when the operating system editor (Ubuntu Canonical) publishes them. * The client area and client instances are accessible in HTTPS (HTTP encrypted) or HTTP (as desired) mode for accounts created before June 1, 2018, and must be in HTTPS (encrypted HTTP) using 256-bit SSL encryption for accounts created after June 1, 2018. * The client area and Client instances are protected by various state-of-the-art devices in terms of computer security: FireWall, Banner Tools, System detection of use of SPAM and DOS Protection (provided by OVH), anti-injection software protection, anti-XSS on software used for the customer area and provided to users. 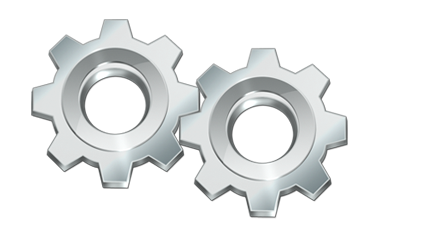 Testing of these software components is done automatically via the PHP-Unit and Travis-CI tools. B) I use a solution on DoliCloud, am I in good standing with privacy laws and GDPR? By using management software, you store information and become a "data collector". As such, if you are in Europe, or if you store information on European entities, you must respect the rules of the GDPR. * Describe the information you store with the software, how it's collected, and what you do with it. * Allow people involved in storing personal data to request the deletion of their data if you no longer need it. * If you supply the data that you collect / store to subcontractors, inform them about the nature of this data and to whom it is communicated. * Define and publish a GDPR referral contact. * Communicate in the case of knowledge of data theft or unwanted intrusion into your software. - The operating system that hosts the instance of your software is of the Linux Ubuntu type. It benefits from regular security updates when the publisher of the operating system (Ubuntu Canonical) publishes them. - The data is stored in a MariaDb database, the software proposed on DoliCloud does not store the information of type "Password" (thus preventing any direct theft) but only a hash made by a double non-reversible encryption algorithm which is by default the MD5 + SHA1 couple. - The instance of your software is accessible in HTTPS (HTTP encrypted) or HTTP (as desired) mode for accounts created before June 1, 2018, and is always in HTTPS (Encrypted HTTP) using 256-bit SSL encryption for accounts created after June 1, 2018. - The instance of your software is protected by various state-of-the-art devices in terms of computer security: FireWall, Banishing Tools, Security Detection System use of SPAM and DOS Protection (provided by OVH), anti-injection software protection, anti-XSS. Testing of these software components is done automatically via the PHP-Unit and Travis-CI tools. - Since you have subscribed to the paid offer, a backup of instance is performed daily and stored on independent storage disks hosted by OVH in Europe (France). The last version of your files are kept, and we keep all daily images of your database for the last 30 days.